Bundled with some sweet freebies by everyone from Samsung to Best Buy and Amazon lately, the Galaxy Note 9 has been hovering over the $800 mark on eBay after a few early discounts. Trusted seller Never MSRP has finally gone below that for a factory unlocked 128GB variant of Samsung’s newest flagship phone, which now fetches an all-time low price of $769.99 in Metallic Copper, Ocean Blue, and Midnight Black color options. In addition to full 4G LTE support for worldwide GSM network use, including AT&T and T-Mobile stateside, this SM-N960F model on special sale today also has dual SIM connectivity going for it. 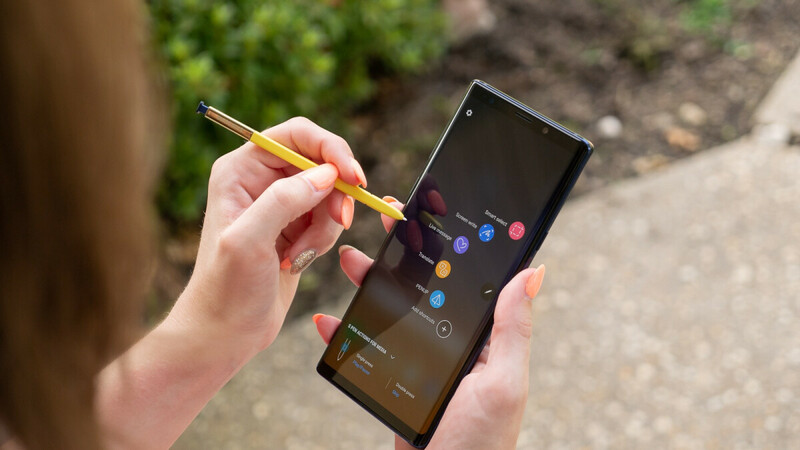 Packing a powerful Samsung-made Exynos 9810 processor, the Note 9 comes with a generous 6GB RAM too, not to mention a smarter than ever S Pen, a huge 4,000 mAh battery, and two extremely competent 12MP rear-facing cameras. Compared to how much Samsung and Best Buy are still charging for an unlocked Galaxy Note 9, you’re looking at hefty, unprecedented $230 savings here. The main downside of buying an “international” smartphone from an eBay seller like Never MSRP is obviously the lack of a standard, valid US warranty. If that’s not an issue, and you don’t want to activate your next big phone on Verizon or Sprint, this is arguably the best outright deal available right now on possibly the best Android handset in the world. You even get free expedited shipping nationwide, with sales tax only applicable for Texas deliveries. If you’re willing to pay extra, you can also have this bad boy shipped in a slew of other countries. That's the main reason I returned my note 8 bad feel in hand and too big. Where's the article that sales are low? You did notice this is an ebay reseller right? Aren't 3rd parties on eBay know to lower cost to try to get sales?